Follow SCCFM for up to date news on our markets, events and campaigns. Sign up to our monthly newsletter for news of forthcoming events, articles and seasonal recipes. 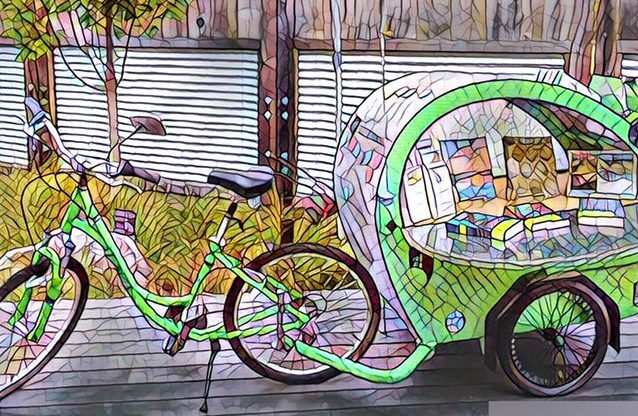 A shiny, green bike-mobile joins us for a second round of fantastic, fun-filled hunts at the farmers’ market. Check in at KERMIT the bicycle book mobile to get your scavenger hunt handout. Then scour the market for all the right things; think alphabet and rainbow themes. The prize will be a basket of berries and participants can walk away with books from the library and a library card. We’re so excited for this growing partnership with the Santa Cruz Public Libraries! *All of these dates line up w/ FoodShed Project Events! *All of these dates line up w/ Felton Special Event Days!